Anyone have a Ant Man wave Nick Fury leg holster with the pistol? Or is there a custom fodder BST? Now looking for parts for a War Machine M 1 Walmart Exclusive. 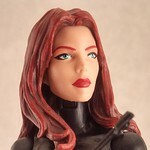 Big Marvel Legends Moving Sale!! Might have to paint them, and not sure how much shipping would be. I have a MIB, Anit-Venom figure from the Hobgoblin BAF wave. I'm seeing whos willing to trade that figure for a Spiderman Homecoming, regular suit SpiderMan figure, WITH wing BAF? I'll post a pic of the figure when I get home this afternoon. So I'm not sure if this is a fair trade or not but I'll give it a shot. I have an Okoye leg(from Killmonger) and head and want to know if anyone would be interested? I'm looking to start trying to build Hulkbuster so would a 2:2 swap be ok, or am I aiming to high? Should be, I still see those figures on clearance at Walmart. Looking to buy OR work out a trade for the new BAF lizard figure, if you have one you don’t want PM me, thank you. Hey, I'm looking for those exact two pieces. Maybe we can work a deal? I'll PM. Your selling an entire collection because you don't like one figure? Last edited by DarthKamen; 02-09-2018 at 05:40 PM..
Hey all - If any of you still need the TRU Marvel Legends Vision & Scarlett Witch 2-pack, shoot me a PM. I can get them easily up here in Canada. I can do $75 USD total shipped (from Canada to the US) for a sealed set. Price includes shipping fees, tracking, & insurance; thanks. Further to my last post and further to some PMs expressing interest; I picked up a few ML Vision and Scarlet 2-packs at TRU this morning. Currently, one is 'on hold' pending payment. If interested, just shoot me a PM; thanks. Further to my last post and further to some PMs expressing interest; I picked up a few ML Vision and Scarlet 2-packs at TRU this morning. Edit 3/25/2018: ALL SOLD. If you want me to look for more; just shoot me a PM; thanks. Last edited by Crobot91; 03-25-2018 at 09:58 AM.. If you've got one and you're willing to trade or sell, I'm interested. Thanks! PM for offers, would prefer trades but not picky. Noir and Scarlet Spider are top priority for me. Last edited by Boy Blunder; 02-15-2019 at 09:58 AM.. I'm trying to finish both King Pin and Titus. The New Apocalypse wouldn't be turned down either, I don't have any pieces from him. Last edited by Erland; 04-11-2019 at 06:49 PM..